VIBROFLOORS WORLD GROUP specializes in manufacturing and providing turn-key flooring systems with single source of responsibility for their end-users. As a world leader in the industrial flooring solutions with over 25 years of experience and more than 2.000.000 m2 applied, guarantee of very good knowledge and understanding the complexities of environments, process and chemicals that these floors are subjected to, as well as taking into consideration end-users needs, Vibrofloors is focused in preserving the utility value of industrial plants and reduce operating costs. To enable Vibrofloors to provide these services can only result from cooperation between the end users and company in atmosphere of mutual trust. 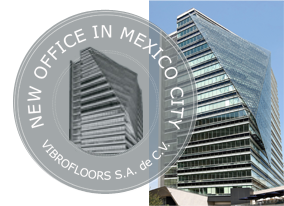 VIBROFLOORS WORLD GROUP team provides everything from DESIGN, EXECUTION, MAINTENANCE and WARRANTY. It is a COMPLETE SYSTEM! VIBROFLOORS provides their services globally, no project is too big or too small, see our reference list. 03.3.2017 Project in Australia completed. 18.11.2016 Vibrofloors completed a Mission Foods expansion in Florida/USA.